03 Oct Living with Fibromyalgia: What Does a Flare-Up Feel Like? If a doctor recently diagnosed you or someone you care about with fibromyalgia, it is common to wonder, “What does a fibromyalgia flare-up feel like?” Unfortunately, a fibromyalgia flare-up feels a little different for everyone, so there is no clear black-and-white answer to this question. However, the following will help you understand flare-ups a little better. A person who has fibromyalgia has it for the rest of his or her life. While doctors can provide you with treatment, there is currently no cure for this condition. A flare-up is a period of time when the severity of a person’s fibromyalgia is significantly worse. 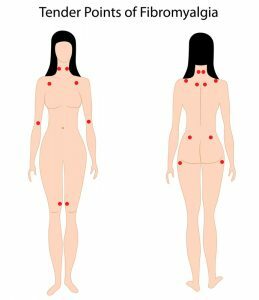 When people go to the doctor or have a conversation with someone about their fibromyalgia, they rate the pain on a scale of one to ten. For someone who claims the pain is a three on most days, a flare-up is when the pain suddenly jumps to a seven or eight. During a flare-up, the symptoms associated with the condition get worse. The fatigue (also called mental fog) gets harder to handle during a flare-up. So, the simple answer to what does a fibromyalgia flare-up feel like is – you feel more tired than normal and you are in more pain than normal. You will also typically have a more difficult time concentrating. Flare-up triggers also tend to differ from one person to the next. However, stress lands at the top of the list as one of the common triggers. There are also several shocking triggers of flare-ups, including exercise. For a person with fibromyalgia, working up a sweat is enough of a trigger to cause a flare-up. This creates a bit of a chaotic domino effect, as exercise is also an effective treatment for the condition. Something as simple as a change in the weather can trigger a flare-up. This is not so different from someone with a bad hip or a titanium rod feeling an increased amount of pain because of the change in air pressure. Fibro fog is a term commonly used by individuals with fibromyalgia. During a flare-up, it becomes difficult to concentrate or find the motivation to do just about anything. During a flare-up, a person can become withdrawn and want to sleep until the intensified symptoms pass. Treating a flare-up is a difficult task. In fact, it is much easier to prevent a flare-up by recognizing and avoiding triggers. Therefore, doctors recommend keeping a log of flare-up triggers. With so many different symptoms, there is no clear treatment path. Furthermore, a treatment that works for one individual might not work for the next. In most cases, the doctor will work with you to develop a combination of medication and therapy to find a treatment plan that works best for you. Medications can include antidepressants, anti-seizures, and anti-opioids. The biggest downside to medications used to help treat fibromyalgia flare-ups is they usually make a person drowsy. Arguably the most frustrating aspect of fibromyalgia and flare-ups is that treatments can double as triggers and can create other troublesome symptoms.